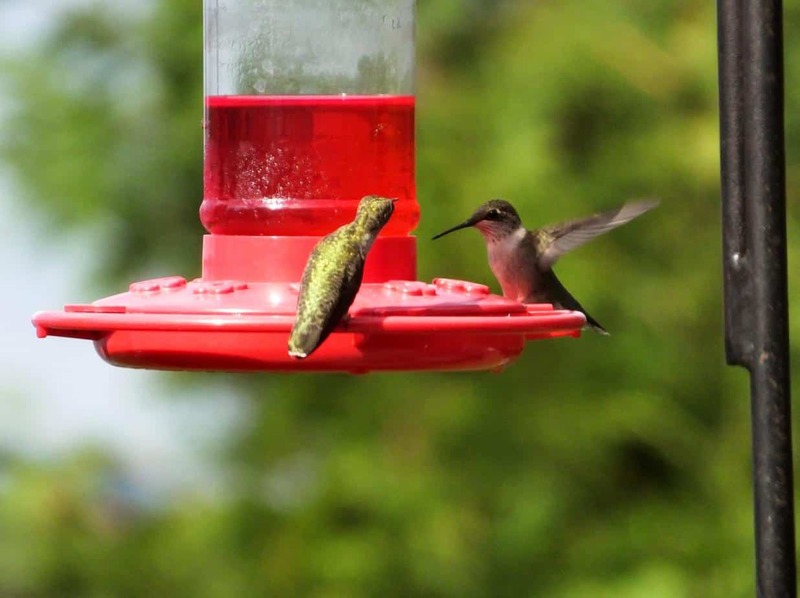 Busy hummingbird feeder – and not just hummers! 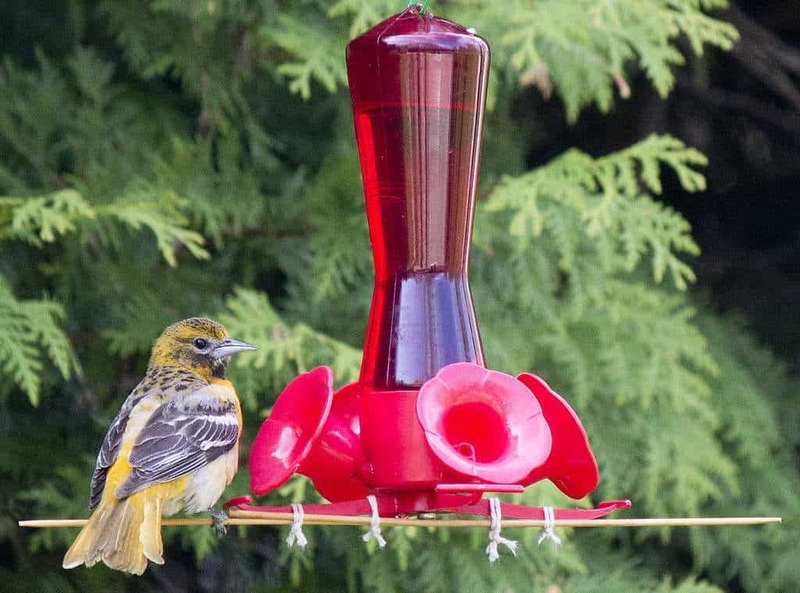 August 16: Our hummingbird feeder has been busy this summer. The hummers of course enjoy it, but also we have had orioles feeding almost the entire summer. 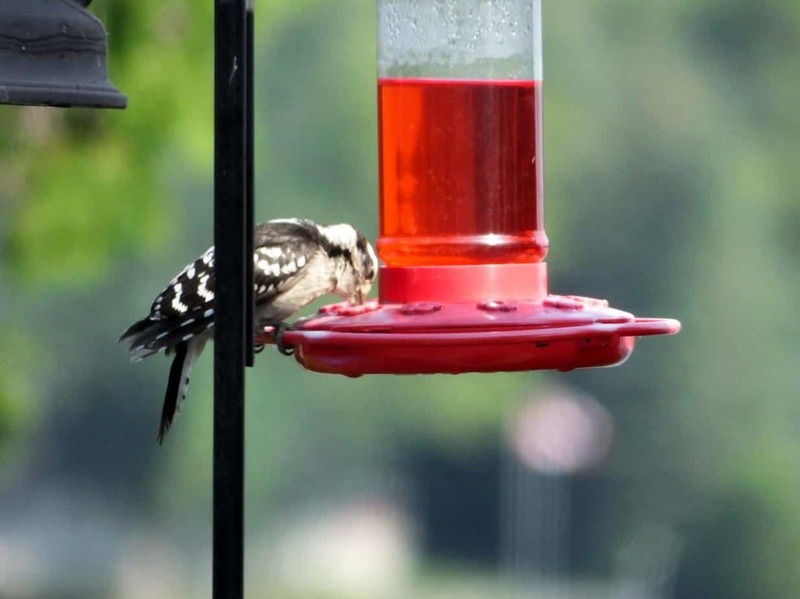 This morning, this a Downy Woodpecker thought he might give it a try…..sweet tooth I guess !! I have been having quite a bit of “unusual for my yard” activity lately. For some unknown reason woodpeckers have taken notice of my peanut feeder so I have kept it up. I rarely see any. 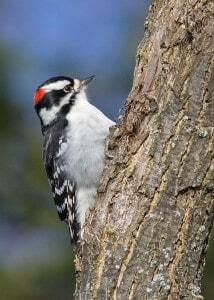 This year I have numerous Downy Woodpeckers including a male feeding peanuts to a female. 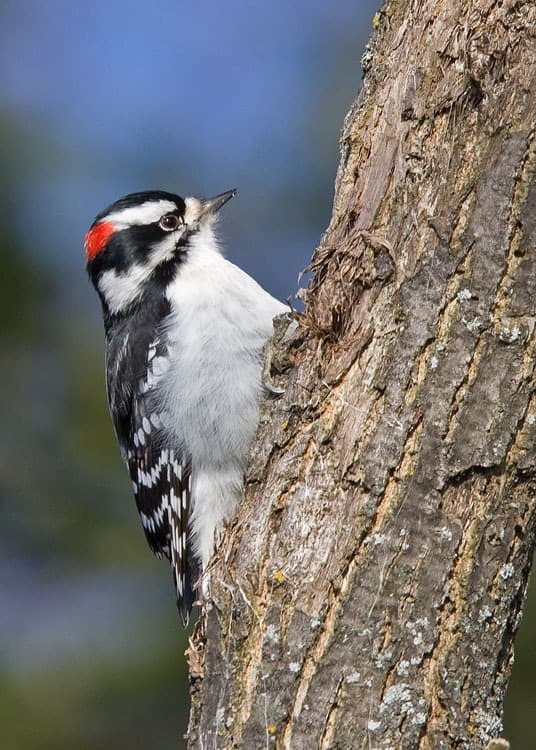 More unusual is seeing Hairy Woodpeckers on a daily basis. I have seen both male and female and for the last 2 days the female is feeding a very loud youngster. The female is not looking so great. She is missing a lot of feathers around her neck. I have also had a female Rose-breasted Grosbeak for several days and yesterday 2 males showed up. That is not unusual during migration but the end of June is surprising. 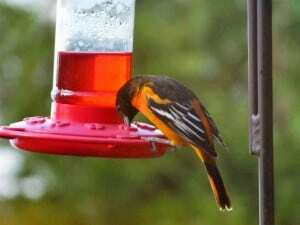 Finally, I often get Baltimore Orioles in spring but unfortunately they are just passing through. 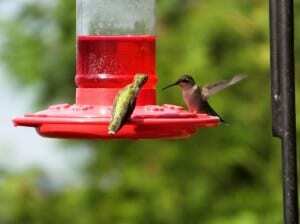 This year they have stayed and come to the hummingbird feeder throughout the day. 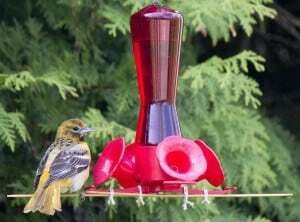 Two females were fighting over the feeder yesterday and there is also a male. Makes for good birding even on the cold and wet days.